© 2013-2016 Kwality vt Ltd. All rights reserved. 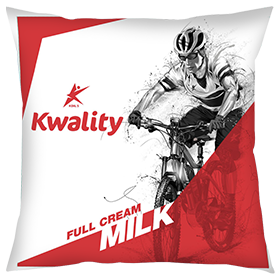 Kwality full cream milk is not just fresh & tasty but also has the goodness of nature in it. Consume it without having to compromise with your health. 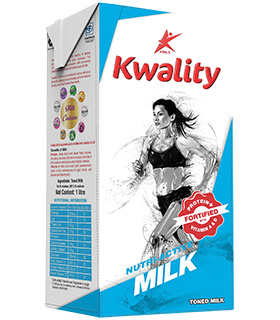 Kwality toned milk is the perfect blend of good health and wholesome taste. It is the best choice for those who don’t compromise on taste & follow a balanced diet. 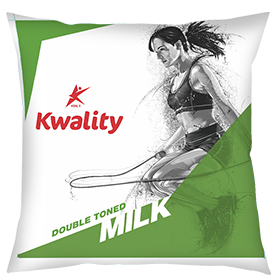 Kwality double-toned milk is the ideal choice for health conscious people. It keeps the calorie intake under watch & aids weight loss. 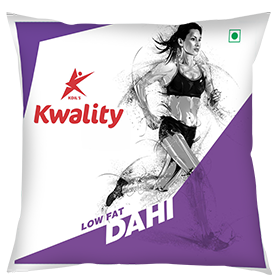 Kwality toned milk dahi contains the goodness of natural calcium. It is made from 100% pure pasteurised toned milk which is delicious and easy to digest. 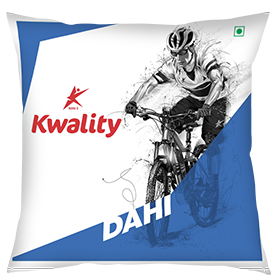 Kwality skimmed milk dahi is rich in calcium, proteins, and vitamins. It is made from 100% pure pasteurized Skimmed Milk Dahi. It is good for people who are cholesterol concious as the fats are removed through processing. 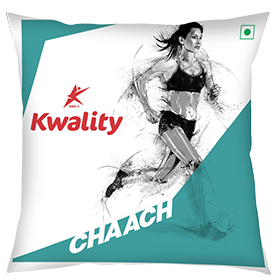 Kwality chaach is natural ideal coolant for the summer. It is the best thing you can give your body to fight dehydration and it also gives lactose intolerant people their dose of calcium without causing an adverse reaction. 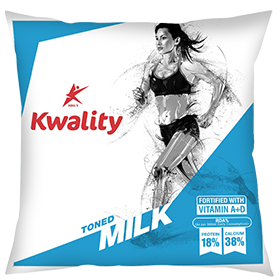 Kwality Milk brings to you an exceptional variety of protein fortified toned milk, which is not only rich in calcium, vitamin, and protein but also tastes delicious. The milk stands for good health. Kwality Milk in our new tetra pak can survive for a longer duration, without chilling. Skimmed milk is best suited for milk lovers who are on a high-protein and low-calorie diet. 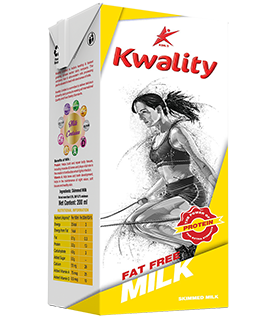 Stay active and reap the benefits of premium quality fat-free skimmed nutri-active milk by Kwality Milk. You can easily carry our tetra pak with you anywhere, without worrying about spillage or losing the freshness of the drink. 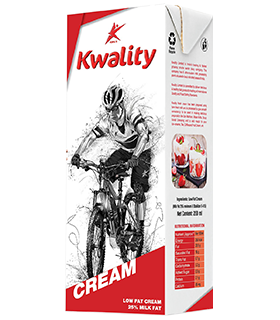 Kwality Cream, made out of pure milk cream, has been finely processed. It is sterilized at high temperatures and aseptically packed. Prepare and serve delicious dishes made with Kwality Cream. 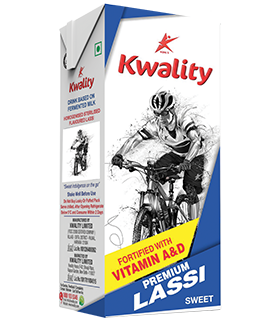 Kwality flavoured milk is India’s first Vitamin A & D fortified flavoured milk. It is a healthy & refreshing drink on the go. It perfectly blends the goodness of milk along with the taste & flavour to give you a mouthful taste. 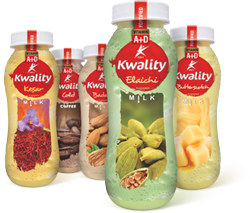 Kwality lassi is refreshing milk based natural drink. It is creamier, thicker and delicious with all the goodness of milk. 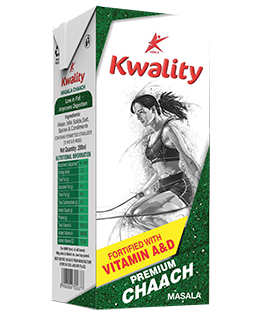 Kwality Masala Chaach is a refreshing drink which has a perfect blend of condiments and spices. It is good for digestion and also act as a heat buster in peak summer season.